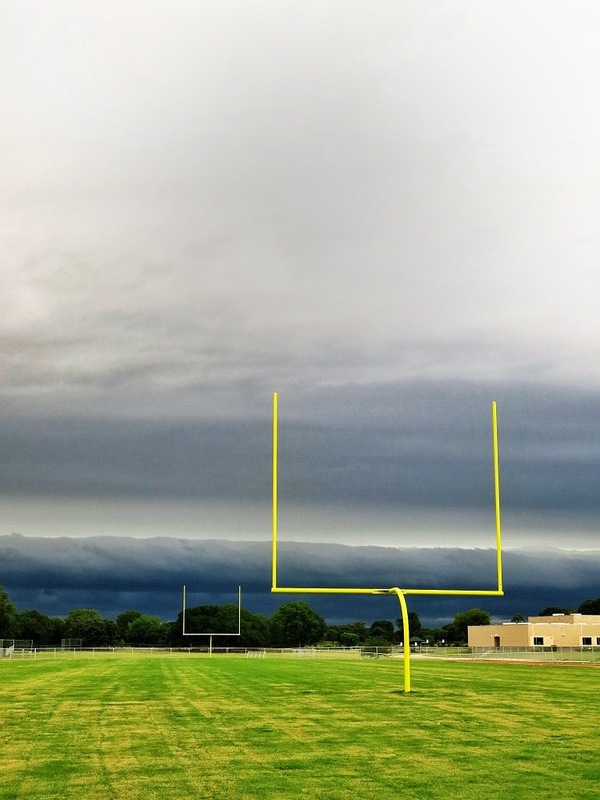 While checking out the new football field installation at a job site last week, a cold front (yes, I said “cold” front…in Texas…in July) on the horizon caught everyone’s attention. It was impressive (and the iPhone photo does it no justice…and just for the record, I had my camera, in the truck, on the opposite side of the school campus – some Boy Scout I am huh?). As it approached, it rumbled and belched, and then quickly petered out over us. It was cool to watch the “cold” come rolling in while it lasted (about a 20 minute show). I love the weather, especially when you can see, it feel it and almost touch it. I would have savored this moment! and taste it too! 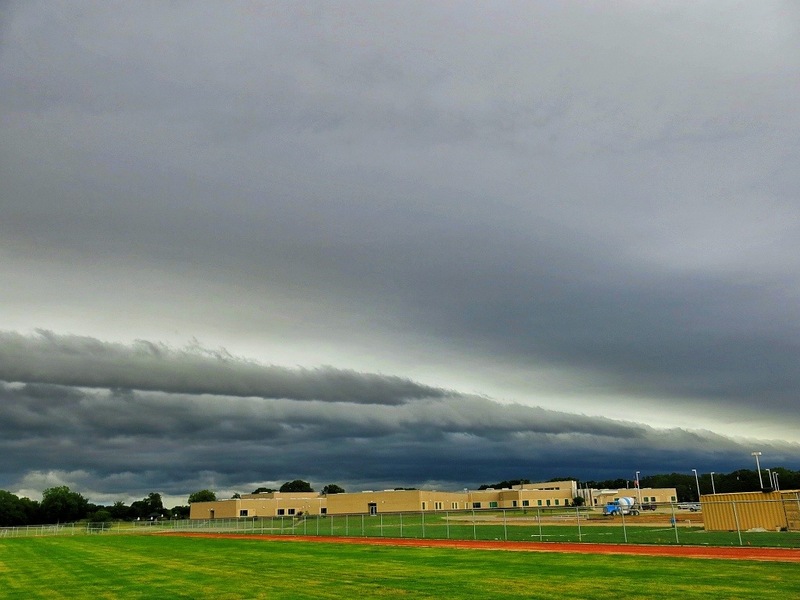 The gusty winds of the leading edge brought with them a bunch of southern Oklahoma farm land. I got to dirt-spitting, contact lens-blinking, hair-combing, and hand-brushing (off the truck seat) all that dirt…but it was still way cool. Darn it, I missed it! What day was this?